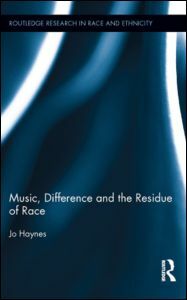 Jo Haynes, 2013, Music, Difference and the Residue of Race, Routledge Research in Race and Ethnicity Series. Tariq Modood and Jan Dobbernack, 2013, Tolerance, Intolerance and Respect: Hard to Accept? Palgrave Politics of Identity and Citizenship Series. Katharine Charsley, Ed., 2012, Transnational Marriage. New Perspectives from Europe and Beyond. Routledge: London. Anna Triandafyllidou, Tariq Modood and Nasar Meer, Eds., 2011, European Multiculturalisms: Cultural, Religious and Ethnic Challenges. Edinburgh: Edinburgh University Press. Tariq Modood and John Salt, Eds., 2011, Global Migration, Ethnicity and Citizenship. Basingstoke: Palgrave Macmillan. Tariq Modood, 2010, Still not easy being British. Stoke-on-Trent: Trentham Books. Marta Bolognani, 2009, Crime and Muslim Britain: Race, Culture and the Politics of Criminology Among British Pakistanis, London: IB Tauris. Geoffrey Brahm Levey and Tariq Modood (Eds. ), 2008, Secularism, Religion and Multicultural Citizenship. Cambridge: Cambridge University Press. Tariq Modood, 2007, Multiculturalism. A civic idea. Cambridge: Polity. Jon Fox, 2006, Nationalist Politics and Everyday Ethnicity in a Transylvanian Town, with Rogers Brubaker, Margit Feischmidt, and Liana Grancea, Princeton: Princeton University Press. Paul Statham, 2005, Contested Citizenship: Immigration and Cultural Diversity in Europe, with Ruud Koopmans, Marco Giugni and Florence Passy. Minneapolis: Minnesota University Press. Carver, N. (2016) “For her Protection and Benefit”: The Regulation of Marriage-related Migration to the UK’ Ethnic and Racial Studies. Khattab, N, and Fox, J (2016), 'East-European immigrants responding to the recession in Britain: Is there a trade-off between unemployment and over-qualification?’, Journal of Ethnic and Migration Studies: 1-16. Modood, T. (2016) ‘What is Multiculturalism and what can it learn from Interculturalism’ in ‘Interculturalism versus Multiculturalism – The Cantle-Modood Debate’ in Ethnicities 0(0) 1-24. Khattab, N. & Johnston, R. (2014) 'Ethno-religious identities and persisting penalties in the UK labor market', The Social Science Journal. Modood, T. (2014) ‘Multiculturalism, Interculturalisms and the Majority’, Kohlberg Memorial Lecture, Journal of Moral Education, 43(3): 302–315. Modood, T. (2014) ‘Hate speech: The feelings and beliefs of the hated' in ‘Understanding and regulating hate speech: A symposium on Jeremy Waldron’s The Harm in Hate Speech’, Contemporary Political Theory, 13, 104–109. Meer, N. & Modood, T. (2014) 'Cosmopolitanism and integrationism: Is multiculturalism in Britain a zombie category? ', Identities: Global Studies in Culture and Power. Dobbernack, J., Meer, N. &Modood, T. (2014) 'Misrecognition and political agency: The case of Muslim organizations in a General Election', The British Journal of Politics and International Relations. Modood, T. (2016), 'Multiculturalism', J. Stone (Editor in Chief) The Wiley Blackwell Encyclopedia of Race, Ethnicity, and Nationalism. Download here. Modood, T. and Thompson, S. (2015) ‘Defending Strong Contextualism’. Download here. Modood, T. (2015) ‘Intercultural Majoritarianism and Multicultural Nationalism. Download here. O'Toole, T., DeHanas, D. N., Modood, T., Meer, N. & Jones, S. (2013) Taking Part: Muslim Participation in Contemporary Governance, University of Bristol. Download here. Modood, T. (2012) Post-Immigration ’Difference’ and Integration: The Case of Muslims in Western Europe, The British Academy. Download here.